Eva Ricart presented Vedanthangal Sangam / Laia Foundation’s projects to all students between 3 and 12 years of Lola Anglada Tiana school. The sessions included the screening of the documentary Vedanthangal by Jorge Aguilera and Pep Avila, a talk by Eva and finally a discussion. 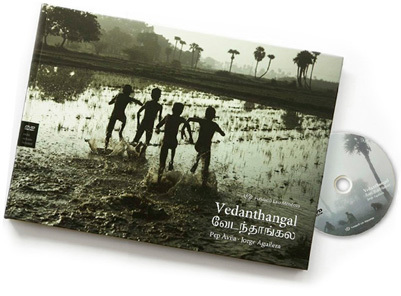 School students will sell bracelets made them and Vedanthangal photography books during the spring festival, to raise funds for our educational projects. Also at the spring festival (on June, the 3rd), one of the school porches will be named Vedanthangal and photographs will be exhibited till the end of the school year. The idea is to show on this porch everything they receive from Vedanthangal through the partnership. The school staff is willing to start the charitable initiative called teaming to support the Vedanthangal projects. Moreover, Carolina Carreras and Laura Magallón presented the organization’s projects at the IES Argentona.